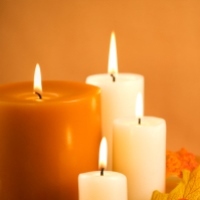 Mulberry – Glenn Orville Perry, 63, passed away on Tuesday, April 16, 2019, at Lakeland Regional Health. Glenn was born July 9, 1955, in Plant City, Florida to Louie and Kathryne Perry and has resided in Mulberry most of his life. He was a retired electrician for Mosaic, Master Mason and pilot. Glenn is survived by his wife, Cindy Perry; son, Aaron “Opie” Perry; daughter, Sarah Parish (James); sisters, Diane Friday (Perry); Linda Perry and Sandra McMahan (Keith); brother, Van Perry (Debby) and one grandchild. He was preceded in death by his parents and brother, Gary Perry. Visitation will begin at 10 a.m. followed by a celebration of life at 11 a.m., on Saturday, April 20, 2019, at Lakeland Funeral Home & Memorial Gardens.